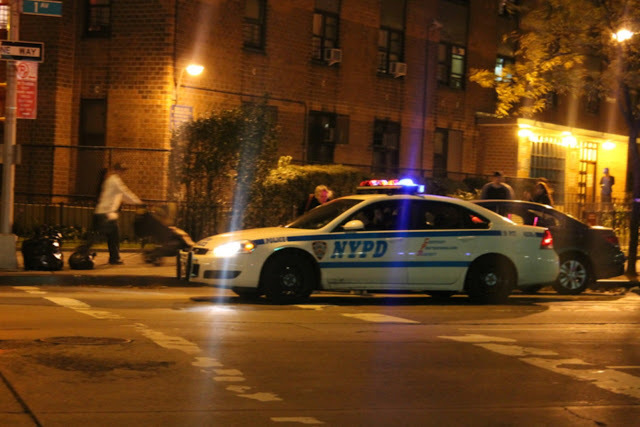 Harlem - A police car parked outside the Isaacs Houses on First Avenue and 93rd Street on Sunday blasted an order through its loudspeakers that residents must evacuate, ahead of Hurricane Sandy. Three school buses waited outside to transport people to shelters, but many residents of the houses, which are in the city's mandatory evacuation zone, said they planned to ride out the storm at home. "We chose not to go. We'll take our chances," said Valerie Ventolora, 39, a telephone operator who lives in the Isaacs Houses, a public housing complex with three 24-story buildings, 635 apartments and more than 1,300 residents. "I've been through three blackouts, four hurricanes and an earthquake here. I'll be fine." That's not the message Mayor Michael Bloomberg is sending to public housing residents in Zone A evacuation areas. Bloomberg said the elevators would be shut off, as well as the heat and hot water. The move will effect more than 45,000 residents citywide. Bloomberg said the elevators are being stopped to prevent people from being trapped if the power goes out. The heat and hot water are being closed down to protect the electrical system of buildings. Meteorologists say the storm could bring a storm surge of 6 to 11 feet along with dangerously high winds. “If the electricity goes out, the elevator will stop and people could be trapped in them,” Bloomberg said. 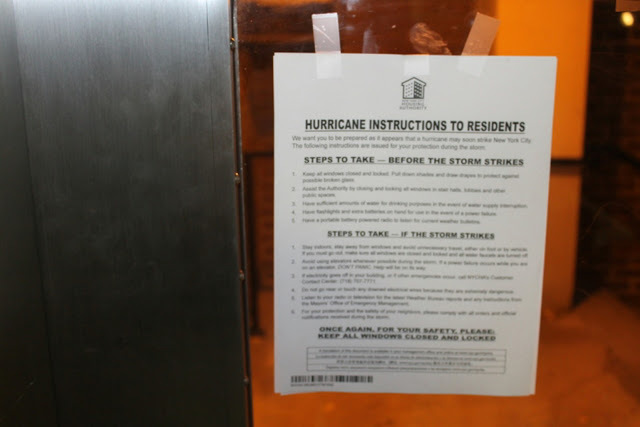 But in the evacuation zone on the Upper East Side and Harlem, which stretches from East 93rd to East 100 streets along First Avenue to the East River, many public housing residents said they thought the city overreacted to Hurricane Irene last year. They also pointed out that private high-rise developments just across the street from public housing were not going to the same lengths. Rose Bergin, 57, a tenant leader at Isaacs Houses and the Manhattan South District Chair of the Citywide Council of Presidents, said some residents have decided to leave on their own, but many have decided to stay.